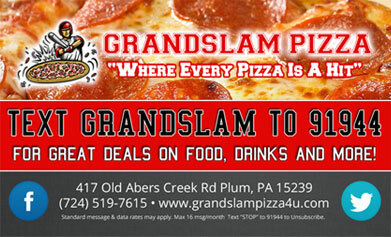 Grandslam Pizza was started in November of 2013. The ownership group with over 40 years of Pizza and Restaurant experience was looking to provide the finest of ingredients to make the perfect Pizza coupled with a service experience that leaves you feeling like you are part of the Grandslam family. Grandslam Pizza "Where Every Pizza is A Hit"